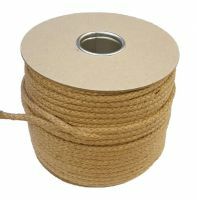 A Kingfisher product ~ your guarantee for a superior mooring line, marine rope or yacht rope. 10m braided polyester docklines in 12mm, 14mm and 16mm with a spliced eye one end and colour matched whipping at the other. A durable and flexible mooring line with a uniquley balanced construction and high break load. Colours available in 12mm: Black, Navy, White, Red, Green, Blue. Colours available in 14mm and 16mm: Black , Navy.